// "in which the sound of an axe had never been heard…"
In the autumn of 1792 a pair of storm-battered French ships, their crews weatherbeaten and tired, dropped grateful anchor in waters off Tasmania's south-east coast. 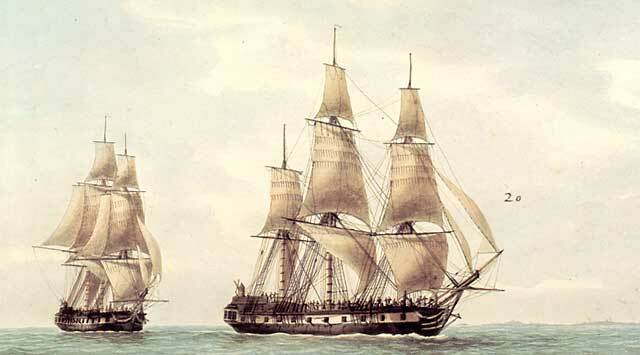 The ships were Recherche, under command of expedition leader, Rear Admiral Bruni d'Entrecasteaux, and Esperance, under Commander Huon de Kermadec. The peaceful waterway was later named D'Entrecasteaux Channel and the bay they chose for their rest and repair became Recherche Bay. 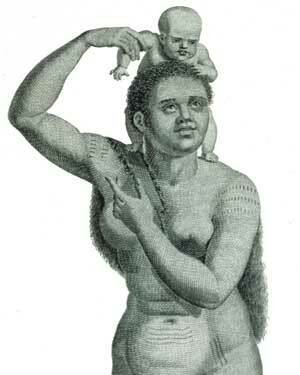 "It is difficult to express the sensations we felt," wrote the ship's botanist, Jacques Labillardière, "at finding ourselves at length sheltered in this solitary harbour at the extremity of the globe, after having been so long driven to and fro in the ocean by the violence of the storms." D'Entrecasteaux's was a high profile dual-purpose expedition. His mission was to search for the lost maritime hero, La Perouse and to undertake top-level scientific research including astronomy and research into the Earth's geomagnetic field. La Perouse was never found, and neither d'Entrecasteaux nor his ships ever returned to France. But return to Recherche Bay they did. On January 22, 1793, the two great ships once again dropped anchor on the "very good bottom" of this calm bay. Having circumnavigated Australia, buffeted by the winds of the Southern Ocean, they were pleased to spend another three and a half weeks in this kindly place. The sailors spent five weeks at repairs, scientific work, mapping, botanical collection and gardening. During the final week of their stay, Labillardière records a series of meetings with local people, the Lyluequonny — mutually respectful, peaceful, curious and joyful. "If our path was interrupted by heaps of dry branches, some of them walked before, and removed them to either side … We could not walk on the dry grass without slipping every moment, particularly where the ground was sloping: but these good savages, to prevent our falling, took hold of us by the arm, and thus supported us." On both visits an observatory was set up at Recherche Bay. Astronomical observations were made and important tests proved that geomagnetism varies with latitude. Meanwhile Labillardière, shown right, identified about 100 new plant species, including the Tasmanian Blue Gum, Eucalyptus globulus, Tasmania's floral emblem. Ninety-five per cent of his extensive Tasmanian collection came from Recherche Bay. This work was the foundation for his Novae Hollandiae Plantarum Specimen, considered to be the first general flora of Australia and still in use by botanists in the 21st Century. 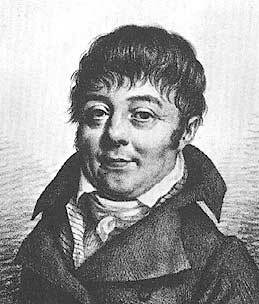 The expedition's gardener was Felix de la Haie. On the first visit he constructed a garden, planting European vegetables and trees in an area nine metres by seven, divided into four and edged with stones. Disappointingly, few plants has survived by the second visit — the Recherche Bay garden, both botanically and conceptually, was alien to that pristine landscape, though the stone edging was rediscovered in 2003. When La Haie finally made it back to France, he became head gardener to Empress Josephine, and in 1800, at Malmaison, he established a Tasmanian garden. Upon their arrival on April 21, 1792, Labillardière movingly recorded his first impressions of Tasmania's natural grandeur: "We were filled with admiration," he wrote, "at the sight of these ancient forests, in which the sound of an axe had never been heard." Again, on February 2, 1793, while camping out on an attempted walk to Mt La Perouse, the beauty and peace of the forest inspired him to record his feelings. "Solitary in the midst of these silent woods … I felt myself penetrated with a sentiment of the grandeur of nature, which it is beyond my power to express." Just over two hundred years later, the forest of Recherche Bay is being written about again. But this time, threatened by the sound not merely of axes but of bulldozers and chainsaws. Gone also are the gentle Lyluequonny, the Tasmanian tigers (probably noted by Labillardière as "wild dogs") and the captivating innocence of this place. 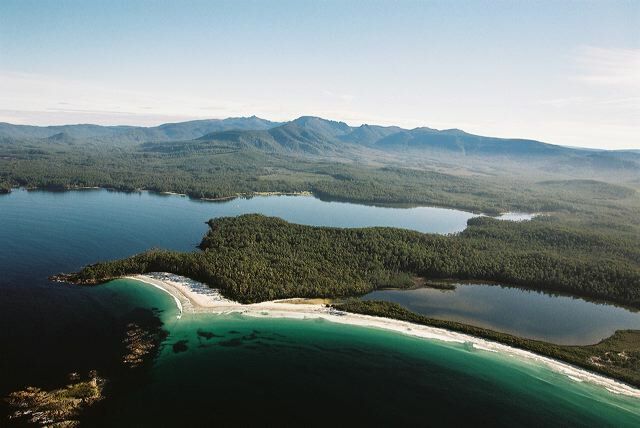 Recherche Bay is now a privately owned peninsula on the edge of Tasmania's Southwest World Heritage Area. A partially built logging road runs through it. In spite of community protest and National Heritage listing, the green light to log has been given. On the occasion of its National Heritage Listing, October 7, 2005, the Federal Minister for the Environment, Ian Campbell, stated: "It is the subject of a proposal for selected logging under the regional forest agreement (RFA) … There is no reason why sound forestry practices and the protection of heritage cannot take place side-by-side." On the same day came a passionate and concerned response from Tasmanian Senator Bob Brown, leader of the Australian Greens: "He's a weak-kneed, spineless excuse for a minister. "He doesn't stand up [for the environment] in public, he doesn't stand up for it in cabinet. "What is happening in a country where the minister for the environment, in the one breath, lists a national heirloom on the register of national heritage, and in the same breath, says go ahead and log it — send the bulldozers in, send the chainsaws? "There will be growing public opposition to this zany, destructive decision." "Around the world, great battlefields and sites of human conquest and defeat are protected and celebrated and regretted … Recherche Bay could and should become a globally significant place – a symbol of reconciliation and peace through mutual human forbearance, respect and entertainment." The fight to save Recherche Bay has not stopped. Helen Cushing updates the ongoing saga here. Bob Brown's inspiring photographs of Recherche Bay and its surroungings are shown in this lovely portfolio. His book Tasmania's Recherche Bay is reviewed here, and can be bought from the Store at thisTasmania. More background information and photographs can be found at the Recherche Bay Protection group web site. Helen Cushing is a Hobart-based freelance writer and published author. Visit her web site for more information.